Mentor Education's nationally recognised Certificate IV in Business (BSB40215) is a credible and valuable qualification for those starting a business, new to management or transferring to a senior position in an organisation. Employers are increasingly looking for candidates who are equipped to meet the challenges of being a successful manager or business person, and graduate at the leading edge of their field. This course is ideal for those seeking to start a business or currently working in management roles who are seeking a formal qualification to enhance and benefit their existing position and skillset. Mentor Education's Certificate IV in Business (BSB40215) is a nationally recognised qualification that will equip you to undertake business and management roles. It includes units of competency that will help you become proficient in administration, finance, innovation, HRM and marketing. We recognise that employers are increasingly looking for candidates who are aware of the challenges of being a successful business person. Often a candidate’s Qualification is the only evidence that they possess the technical skills and knowledge requirements to conduct themselves professionally as an authorised representative. With a Mentor Education qualification you have confidence in the fact that you will be equipped with the skills and knowledge gained from a credible industry-endorsed program that employs best practice assessment standards, helping you graduate at the leading edge of your chosen field. In order for you to successfully complete this qualification, it is strongly recommended that students have a strong grasp of computer/technical skills, Microsoft Word and Excel installed on their computer, access to a reliable high-quality internet connection and literacy/numeracy skills. 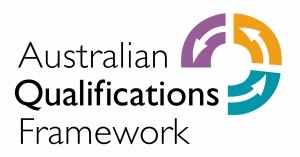 Mentor Education's Certificate IV in Business (BSB40215) is a nationally recognised qualification, complying with the AQF standard and ASQA standards for Registered Training Organisations. Be recognised for completing units covering administration, finance, innovation, human resource management and marketing. Mentor Education’s Certificate IV in Business (BSB40215) is suitable for innovative individuals seeking to start a business or currently in industry in a management role, looking to validate their existing skills and knowledge with a formal qualification. It is also suitable for those seeking to enter the industry in a business role in the future. The course can be tailored to meet the needs of particular organisations. It is also appropriate for candidates who currently work in business and are seeking a formal qualification. It is expected that students will complete this course within a 12-month period. Students who have extensive industry experience should expect to complete the Certificate IV in Business course in a shorter time period. Mentor Education's Certificate IV in Business (BSB40215) is a great choice for individuals who are currently in a business roles, and those who are looking to break into business. If you want to graduate at the leading edge of this field with the skills and knowledge to get ahead in the industry, then this is the course for you.